There’s much for Japan to cheer about going into the spring of 1942. Several battleships of the American Pacific Fleet are resting their ruptured hulls on Pearl Harbor’s muddy bed. The Europeans have had all their Asian colonies taken from them and Japan has acquired for herself the oil, rubber and mineral riches of Southeast Asia – enough to cover her needs. There is good reason to give thanks in Japan. Phase One of the Pacific War is completed and the Japanese military has succeeded beyond anyone’s imaginings. The question before Tokyo’s decision-makers is what next to do, now that it’s clear the war won’t soon be over. Admiral Yamamoto Isoroku, architect of the Pearl Harbor attack, was deeply frustrated the American aircraft carriers weren’t lying with the Arizona and other ships sunk on December 7th. Instead they kept popping up in hit-and-run raids on lightly defended Japanese installations. Damage resulting from these strikes was of little consequence. They were regarded as a mere nuisance until April when Colonel Doolittle led a raid of carrier-launched B-25 bombers on Tokyo. The following month a Japanese task force was thwarted from taking Port Mosby in New Guinea. The carrier Shokaku was badly damaged and the air fleet from her sister carrier, Zuikaku, suffered significant loses. The American carrier Lexington was sunk in this Battle of the Coral Sea but the carriers Hornet, Enterprise and Yorktown remained at large. 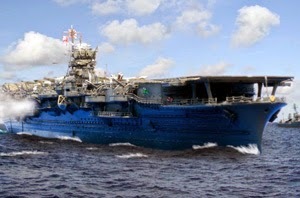 Yamamoto’s first priority was to destroy what remained of America’s naval power in the Pacific – its carriers. Without the air power provided by aircraft carriers the U.S. would not be able to strike Japan’s large defense perimeter of fortified islands. Without carriers the United States would not be able to protect Fiji, Samoa and New Caledonia in the South Seas. Were these islands to fall then Japan would be sitting astride the one remaining Pacific route America had with Australia. With Australia cut off there could be no hope for a U.S. strategy of puncturing Japan’s southern flank and penetrating north through the Solomon Islands, New Guinea and into the Caroline and Mariana Islands. Without carriers Americans could find their military forces pushed all the way back to California. This is why destroying the carriers of the Pacific Fleet was so important to Yamamoto. Their destruction could rid the Pacific of American influence. 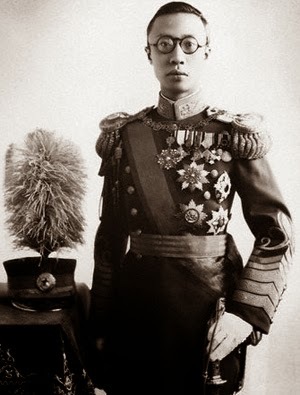 Given the stakes involved and the Pacific Fleet’s humiliating defeat at Pearl it was only natural Admiral Yamamoto would assume American reluctance in once again having to face the Imperial Navy. The critical problem as Yamamoto saw it was to draw the enemy out from their shell. He would need to provoke them with an intolerable situation and for this Midway Island would be the key. 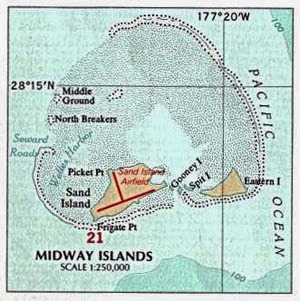 Thirteen hundred miles from Pearl, Midway was the farthest American reach into the Japanese waters of the central Pacific. Passing the island to Japan would be an unacceptable threat to America’s control of Hawaii. Given this line of reasoning Yamamoto was certain an invasion of Midway would provoke America’s carriers to come to its aid. The carriers of the Imperial Navy would be waiting to ambush the U.S. ships, bringing to a close the unfinished business of Pearl Harbor. With America’s carriers destroyed Japan would have free reign of the Pacific through the remainder of 1942. 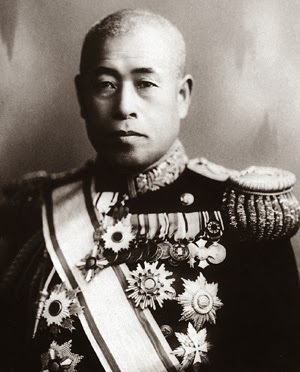 Yamamoto’s strategic outlook was not widely shared by Japan’s military leaders. Other approaches were proposed but given Yamamoto’s status as hero of Pearl Harbor it was unlikely other views would prevail over his. But his success would not be repeated. Months of easy victories over Allied forces had dulled Japan’s blade. The careful calculations and meticulous planning of the Pearl Harbor raid was not evident in Yamamoto’s Midway plan. 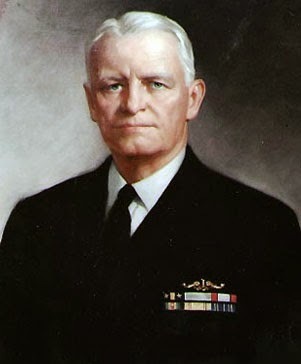 Hubris would enable Admiral Nimitz and his carriers to steal victory from the jaws of defeat. The boundaries that matter most to the United States are those consisting of water. America exists much as an island. Our commerce is predominately conveyed across vast stretches of ocean. This nation has historically been blessed with self-sufficiency with its vast mineral riches, oil, forests and abundant agricultural land. Our level of industry has come to outstrip our supply of some strategically important materials, titanium among other metals are examples, but we remain in good fortune for the most part. Despite this continent’s material largesse the United States has always been a nation heavily invested in trade. We’ve been the world’s purveyor of tobacco, cotton and even oil at various points in our history. Early industrialization enabled us to export manufactured goods. Today we still provide the world with high technology items such as aircraft as well as products like software and information systems that don’t meet the traditional definition of being manufactured. Thomas Jefferson, our third president, provided us with an early lesson in international trade. At the time of his second term England and France were at war with each other, as was often the case, and they freely preyed upon American shipping to supply them with men. It wasn’t uncommon during these times for a powerful navy to forcibly induct citizens of another country to fill their military ranks. Jefferson’s protests were ignored. There was little we could do to protect our merchant marine. The United States had no navy of any consequence. Jefferson decided to embargo these European nations, denying them the sale of our goods. The move left much of our shipping without business and it threw this young nation’s economy into a recession. The embargo became increasingly difficult to enforce and, ultimately, it failed. Nations with a heavy reliance on sea lanes for commerce provide their shipping with a measure of navy protection. They view it as part of the cost of doing business. Great Britain during its rule over a colonial empire is maybe the best example of this. The island nation of Japan is another. The United States spends an enormous sum of money each year on its navy to insure our commerce flows unobstructed around the world. The U.S. Navy has in its inventory ten Nimitz class aircraft carriers to patrol the seas. Each carrier in turn has its own Strike Group – made up of one or more frigates, guided missile cruisers, guided missile destroyers and one or two attack submarines. Obviously, this is overkill if the Navy’s only mission is to ensure a container ship loaded with Nike shoes from South Korea is able to safely dock at San Pedro Harbor near Los Angeles. A Nimitz carrier with its typical complement of about 65 aircraft is an extremely expensive item. No other nation in the world currently burdens itself with such a cost. 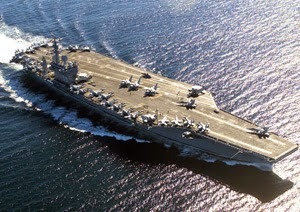 The carrier has a strategic purpose that might best be expressed as force projection. The carrier is a weapon having enormous destructive potential. It is free to move to most any ocean of the world. With water making up seventy-five percent of the globe’s surface that means the carrier can influence the politics of a good number of countries populating the Earth. It isn’t wise policy to be the world’s bully. It isn’t in this nation’s interest to arrogantly throw our weight around, seeding resentment with frequent acts of intimidation. We are but one among a community of nations. We hold ourselves to a set of principles that value reason, judicial temperament and something we might call ‘fair play’ as being among the arbiters that are used to settle disputes. Still, having such military tools at the ready tends to make Washington first among equals in the ranks of capitols of the world. Weapons such as these carry with them enormous responsibility and that means we are all best served when they remain mostly holstered. Mollie blew into the kitchen with shower damp hair. Where’s the mug? Chirp’s bowl of sweet crunchies sat at the table, half eaten, now bloated with milk. Drake’s X-Men issue opened to a jelly smear, missing from its toast. 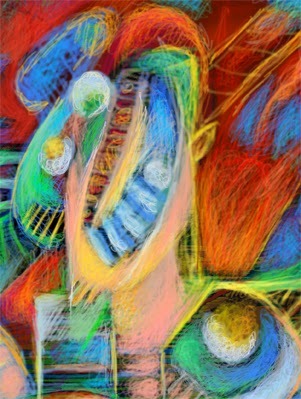 Mollie searched the counter – toaster and blender tangled in cords, glasses stuffed with spoons and forks, congested plates, napkin crumplings, Saturday’s crusted waffle iron ajar. Mollie yanked her mug free from the sink’s wedged pots. Laughter came from the TV room. Dad and daughter waved Mollie out the driveway. They watched her drive the length up Duckworth Lane, turn towards town, then out of sight. Dad turned to Chirp. The sun silhouetted the field’s brush as Mollie pulled into her drive. The car’s door lurched open with a groan. Mollie sat for a moment collecting her strength. It was dark inside beyond the screen door. There wasn’t a sound. She made her way to the front porch, taking care to avoid the loose second step. She stepped inside. Mollie’s eyes slowly adjusted to the gloom. Chirp’s ostrich-feather hat still sat on the sofa. She looked towards the darkened hall leading to the bedrooms. She shuddered as a rabbit ran up her back. Mollie turned towards the kitchen. It held a low glow. She stepped through the door. A single light flickered from the table. The American presence in the Philippines was the one impediment to removing Europe as the dominant force in Asian economics. The U.S. Asiatic Fleet harbored at Manila Bay was small, symbolic in nature only. American planes stationed there were mostly obsolete. The U.S. Army provided the Philippines a token-size measure of defense. The greatest vulnerability to a continued American role in Southeast Asia, though, was a line of Japanese held islands that isolated the Philippines from further U.S. military aid were there war. Japan did not fear the opposing military forces stationed about the numerous islands of the South China Sea. The 1940 move of the U.S. Pacific Fleet from San Diego to Pearl Harbor was President Roosevelt’s message of resolve to Japan: We will protect our Asian interests. 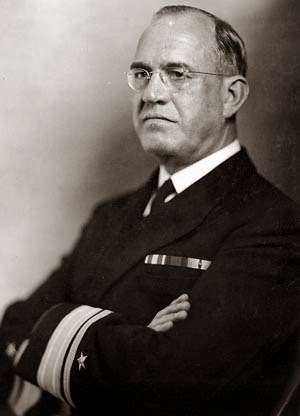 There was also the implicit threat that a military move by Japan against British Malaysia or the Dutch East Indies might result in conflict with the U.S. Navy. Here, though, U.S. government posture had to remain ambiguous. The American public was clearly opposed to any foreign entanglements. One has to wonder what the American response would be were Japan to expel Europe from the region while scrupulously avoiding any attack on the Philippines or other U.S. possessions or installations. Roosevelt was too shrewd a politician to force America into a costly war with Japan while the American public remained hotly divided. Certainly protecting a British colony was no justification for sending one’s son into battle. Unifying U.S. citizens for war would require more than a Washington manufactured pretext. It would require the cooperation of the Japanese military. Victory at Pearl Harbor sealed Japan’s doom from the outset. Sinking a handful of battleships gave the Imperial Navy nearly uncontested reign of the Pacific for all of six months. Yet, it also rallied the American nation to vengeance whose economy was ten times that of Japan’s. The military leadership in Tokyo had miscalculated. 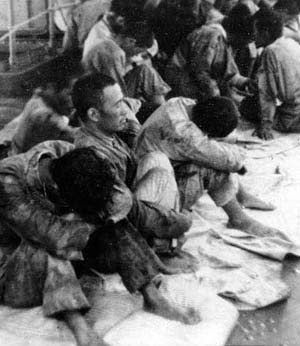 Their victory on December 7 was devastating for the American Pacific Fleet but not the decisive battle intended by Tokyo. The once-feared battleship would be relegated to the secondary role of shore bombardment while the aircraft carrier emerged as the true conveyor of naval power in the Twentieth Century. Unfortunately for Japan the American carriers were not moored at Pearl Harbor on the Sunday of the attack. They survived unscathed and began almost immediately to chip away at Japan’s newly won naval dominance. 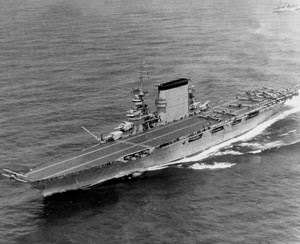 The carrier Hornet launched the Doolittle raid on Tokyo in April, 1942. The following month American carriers in the Coral Sea turned back a Japanese invasion force bound for New Guinea. Then in June, six months following Pearl Harbor, carriers of the Pacific Fleet ambushed a powerful Japanese armada near Midway Island, sinking the four Imperial Navy carriers present. The fortunes in war had changed. The initiative held by Japan had suddenly been lost. So much was at stake and yet, despite all the planning, fate appeared determined by nothing more calculated than the single role of the dice. Years ago, when I was probably about your age, I sometimes watched an artsy little program that aired on CBS, Sunday mornings. I suppose you can think of it as the precursor to the current Sunday Morning on the same network. 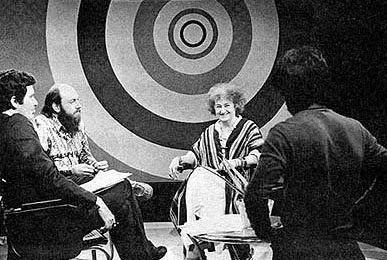 In its day, though, Camera Three was a bargain-basement budget half-hour program produced to fulfill the network’s commitment to what was called public service programming. At the time the FCC, Federal Communications Commission, required all broadcast stations to provide a portion of their air time for programs that earned your attention on the basis of community merit. Which is to say it was the entertainment world’s version of “Eat your vegetables.” If you were up early enough to watch you would likely find two bureaucrats at a government surplus desk discussing the intricacies of allocating traffic lights for outlying communities. As the owner of Happy’s Family Burger Ranch you wouldn't want to buy advertising on the show because the meager few viewers up and about at this hour are only interested in getting their bowels to move. As a kid I was a TV fanatic. Back in the days of portable black and white televisions sporting rabbit ears, before there was cable and overnight infomercials, TV stations routinely signed off the air shortly after midnight. 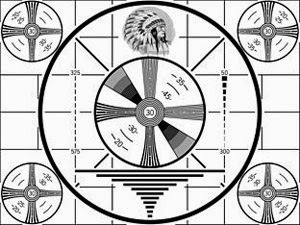 They would resume their broadcast day starting with a test pattern. This was a simple graphic made up of expanding circles overlaid by a prominent horizontal and vertical line that intersected at the center like a crosshair. For interest value there might be the profile of an Indian at the top. This feature would appear shortly before sunrise, accompanied by an electronic hum, and it would enable you to tweak various knobs in the back of your TV so people like Gunsmoke’s Matt Dillon didn’t look squiggly. For me, Channel Ten’s test pattern was my first program of the day. My official broadcast excitement really began with the sign on. The announcer would proceed to tell me all about who owned the station, which mountain their transmitter was located on, how much broadcast power its transmitter had and how the station was dedicated to providing the community with wholesome entertainment and valuable news. Then without further fanfare we would hear the opening theme to Today on the Farm. I don’t where this show came from but it wouldn’t surprise me if some local elementary school’s audio-visual department supplied these old films to the station. The program told me about plowing techniques used by farmers to reduce hill erosion and various antibiotics that were available so my egg-laying hens would stay healthy and productive. I learned about the four food groups as well as proper dental care and being sure to wash behind my ears before heading off to school. If I missed this important start to my day then I must have been out of town or my flickering window to the world blew a catastrophic tube. My absence was definitely not voluntary. It’s no wonder then that I would be up Sunday mornings watching what could rightly be called graveyard TV. The entire civilized world was taking this opportunity to be sleeping in following the obligatory carousing done each Saturday night. Yes, there are always a few exceptions but these are souls lost to television’s titillation as they are now filling the pews at the morning’s earliest possible church services. So alone, I was left to witness this particular Sunday’s episode of Camera Three. 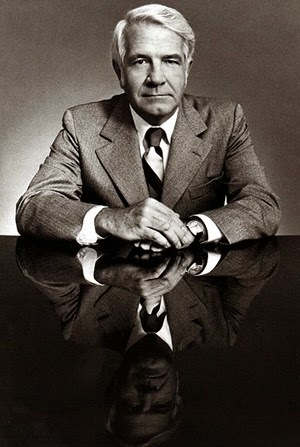 I clearly remember Harry Reasoner hosted the program on this occasion. He smiles into the camera and begins by telling me that the entire show will be devoted to examining the structure we use to gain access to the next room – doors and the hole in the wall they occupy. The topic holds intrigue for me but only because I’m the sole occupant of a deserted isle. Harry then produces a surprise. He has with him this morning a special guest. The famous mime Marcel Marceau is here to dramatize the various scenarios we encounter while interacting with doors. Possibly you’re thinking, “You must be kidding.” Bless your heart. I most certainly am not. I would not pull your leg over something that has been part of my memory now for more than fifty years. 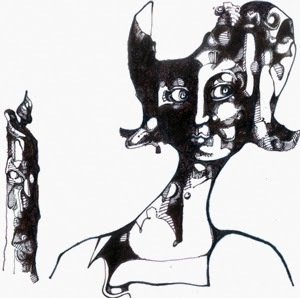 I think it has stuck with me all this time because of the remarkable way a few talented people pulled a rabbit from their hat and made something magical rise from a dead as doornail program. Allow me to relate to you a single instance. Imagine you are the Sun King, Louis the Sixteenth, His Majesty, the resplendent progeny of centuries of French Bourbon rule. You are wealthy beyond imagination. Now you are being led through a dark corridor, then suddenly, you emerge from the doorway into glorious sunlight. The crowd of Parisians erupt in cheers and eagerly press forward to better examine your countenance. With customary formality you are escorted across the stage towards the tall looming structure to your left. You catch your breath at its elegant simplicity – two rails pointed skyward, a large heavy blade suspended at its top. Your final moment amidst this carnival is flush. How would you handle your awaking at the doorway? 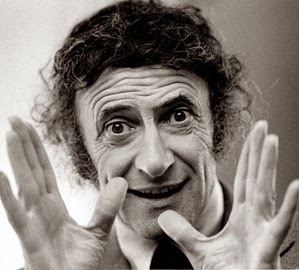 How would Marcel Marceau? Imagination is a brilliant human device. It enables us to tap into what is possible but, for us, yet has never been. It doesn't require expensive props, stirring words or computerized special effects. We can convey our imaginings in simple ways. Capturing the imagination of others is the difficulty. For that we require something peculiar, something exceedingly special. For many in the armed forces of the United States the roughly 20 years of peace between Versailles and Pearl Harbor was mostly a period of boredom and stagnation. The nation had withdrawn behind its oceanic borders believing involvement with the outside world, especially Europe, was generally a losing proposition. The decade of the twenties was, for many in the USA, a celebratory time of riding the ever-expanding bubble that was the American Dream. 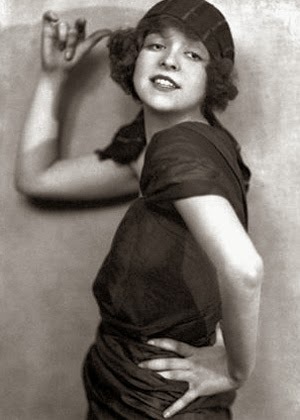 That’s the conventional viewpoint anyway, one depicted with young flappers dancing and successful men pouring the bubbly at music-soused speakeasies in urban settings across this purple nation. It’s an image that fits well on celluloid, a Hollywood metaphor of people with high-hopes and boundless energy getting on with their lives. 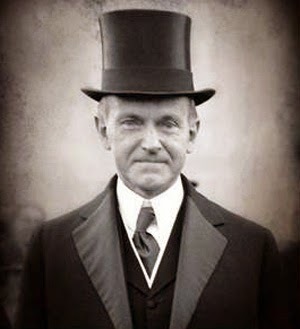 During the height of the Roaring Twenties our famously ironic stick-in-the-mud President, Calvin Coolidge, said, “The business of America is business.” His actual quote in 1925 was a bit more nuanced but the essential truth remains the same. Main Street was America and the business of politics in Washington was insuring the wheels of commerce rolled smoothly. Industry was making money delivering automobiles, radios and sewing machines to prosperous consumers. There wasn’t any profit in war. Marxist beliefs to the contrary, armed conflict just wasn’t good for business. It destroyed markets and killed off consumers. There just isn’t much to buy in a foxhole. The world’s five greatest maritime military powers gathered in Washington in 1921 in an attempt to reign in the size of their navies. These countries held no illusions of disarming the seas but they had a realistic hope of preventing an expensive arms race between them. The Washington Conference succeeded in capping the size of each navy, holding each to a firm tonnage ceiling. Japan wasn’t happy that the U.S. and Britain got higher tonnage allowances but the winning argument was that these nations had two-ocean navies. Japan’s concern was limited to the western and central Pacific. The point to be made about the United States is that it didn't build to its allowable treaty limits. America didn't want to spend a dime more than it felt it needed to defend its shores… and maybe hold onto the Philippines. Herbert Hoover, during his presidency, was proud to say that his administration never laid down the keel of a single Navy ship. Of course, by now, the American Dream bubble had burst and Main Street was largely boarded up. 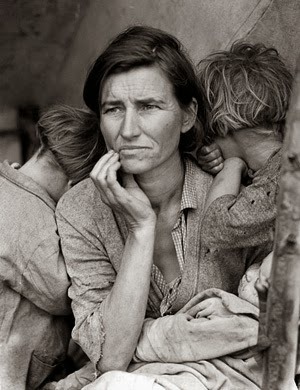 The nation was in the Great Depression and Uncle Sam wasn’t in a spending mood. Promotion in the military was glacially slow and the pay, never good, was actually reduced during the Depression. Even so, many civilians thought it better to enlist than be unemployed, but even here the ‘Help Wanted’ sign wasn’t on the door. The Navy, for instance, could accept only a small fraction of those wanting to go to sea. Sailors had it better than those in the Army. Without funds for equipment and training, soldiers could do little more than endlessly drill on parade grounds and get drunk when not on duty. The glamour men in the public’s eye were those flying planes but that didn't mean Washington was willing to fund their passion. As for the Marine Corps, Herbert Hoover was prepared to disband them as an organization without a mission. Both the Army and Navy, strapped for funds, were happy to go along. Congress didn't oblige. At the time the Marines were working out the bugs in tactics involved with amphibious assault. 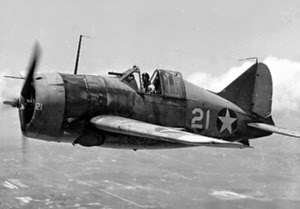 Their opposed landing technique would become a central part of the war in the Pacific, a conflict that was but a few short years away. The international order among nations was ripe for readjustment. Germany and Japan were powerful societies demanding recognition and a greater piece of the economic pie. They were arming at an alarming rate. Britain and France were reluctant to respond but they eventually would. 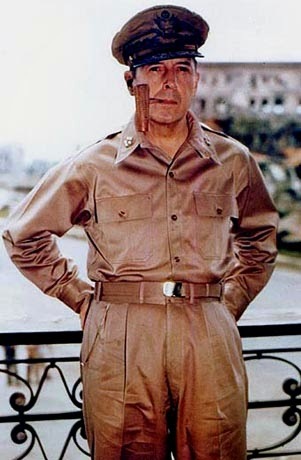 The United States would cling to the belief that it wasn’t their fight but events would begin to prove them wrong. War in China, threats in the Pacific, the fall of France – each had its role in opening Congressional purse strings. American shipyards came back to life. Blueprints for weapons made it to the assembly line. For the first time the United States instituted a universal draft. All that was needed now was the spark. That arrived one Sunday morning over Pearl Harbor – December 7, 1941. My guy in the Kremlin, Vladimir, senses a tar baby in the briar patch, I think. He’s not enthusiastic about formally moving his troops into Ukraine. He knows it could be like George W. Bush’s experience with Iraq – a quick victory followed by years of trying to extract oneself from a guerrilla quagmire. 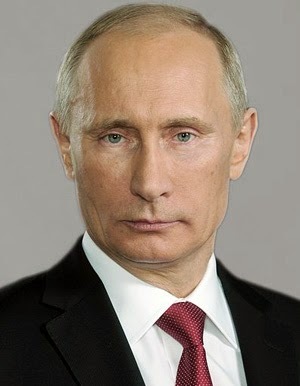 Sanctions would not be Putin’s biggest problem. The cheering following the easy pluck of Crimea would turn to disillusioned grumbling by the same Russian nationalists. Putin has raised expectations and he may have to act against his own best judgment but he prefers a diplomatic out – one that gives greater autonomy to eastern Ukraine. This is where the negotiations at Munich, 1938, become instructive. Britain and France pressured Czechoslovakia into acceding to Hitler’s demand despite the fact that the Czechs were not a military pushover. Turning over its border regions to Germany emasculated the Czech defense, enabling the Germans to easily swallow the rest of the nation soon after the treaty was signed. This is not the course of action for the Ukraine but Putin certainly hopes the West will pressure Kiev in granting semi-autonomy to its eastern regions. The motivation for coming to an agreement is economic, for the West and not just Russia. Powerful business interests in Western Europe and the U.S. want to see this confrontation resolved. They have billions invested in Russian development and they’d like to invest more. Sanctions cut both ways and no one wants to put the western economies back into recession. It’s good for business to defuse the situation and get commerce back to flowing on a normal basis. If the Ukraine can’t soon find a way to extend their control to their eastern borders they will have to face up to realities and make broad accommodations to their portion of the population that view themselves Russian. The US fleet sailed into Yedo Bay under Commodore Perry in 1853 and opened Japan to the western world. Over subsequent years the nation industrialized under the rule of the Meiji Restoration. This rising manufacturing economy of the Far East now required resources the mineral-starved island nation could not provide itself. Like the imperial nations it emulated Japan looked to dominate neighboring lands rich in the strategic resources it needed most – oil, rubber, iron, nickel, tin, other minerals. There were wars – first with China, then Russia and then China, once again. Japan acquired Formosa, Manchuria, Korea and strings of islands that extended deep into the central Pacific, nearly as far to the east as the US-held Midway Island. In time western nations became alarmed. The British, French and Dutch all had colonies around the South China Sea – well within reach of Japan. The United States controlled the Philippines and had a naval base in Manila. There was also racial friction. 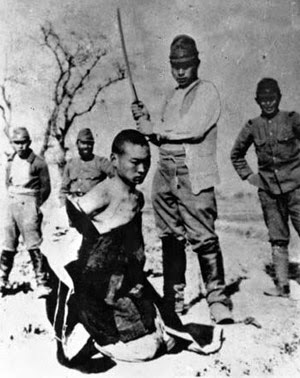 Japan was not part of the whites-only club. The leadership in Tokyo came to believe the Asian economy would be better administered by Japanese. War broke out in Europe in 1939. France fell to Germany in 1940. Japan was bogged down in its own war with China. She needed to cut China off from the supplies it received through French Indochina and British-held Burma. Japan was allied with Berlin and found Indochina easy to pluck from the German-sanctioned Vichy French government. The US, already angered by Japanese military action in China, cut off its exports to Japan as Japanese troops showed up in Saigon and her ships appeared off Cam Ranh Bay. The island was left without its major source for oil and steel. The act was an economic declaration of war. Negotiations proved futile as neither nation was prepared to budge from their original positions. The aggressive diplomatic posture of Washington was not matched by the country’s military position. The United States was not prepared for war. Neither was Britain in the Pacific. England was struggling to stay afloat in a submarine infested Atlantic. Her armies had met their match in the deserts of North Africa up against the forces of the German general Rommel. Japan was well aware of this situation. For Tokyo, accepting US demands meant a sharp reduction in her economic power. Refusing meant war. Her new Prime Minister, General Tojo, would be easily seduced into adopting a military solution. The reasons were compelling. Japan had to act soon. Its oil reserves gave its powerful Imperial Navy little time to act. Foremost, Japan would need the oil and mineral-rich resources of the Dutch East Indies and British Malaysia to power her industries. She would want to take Burma from Britain and, thereby, cut off the Burma Road – the final supply route to Nationalist China leader, Chiang Kai-shek, and his Kuomintang army. Japan would also need to overrun islands of the Celebes Sea, New Guinea and the Solomon Islands in order to protect her southern flank that ran as far as Australia. Then there was the issue of the Americans in the Philippines. The US Asiatic fleet in Manila Bay was inconsequential but the Americans had begun to move B-17 heavy bombers into the area and Tokyo didn't need this threat to her fleet activity. A few well-placed bombs and a powerful, hard to replace Japanese battleship would soon be lost beneath the waves. As it turns out, American forces in the Philippines were extremely vulnerable. Manila was 5,600 miles from Honolulu and to supply US Philippine troops required getting past the Marshall, Caroline and Mariana Islands – all of them already based by the Japanese military. The only means Washington had of doing this would require a drive by its powerful Pacific fleet, now based at Pearl Harbor. 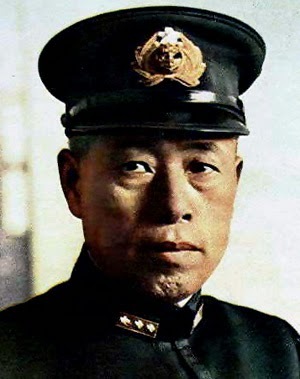 Japanese Admiral Isoroku Yamamoto, Commander of the Combined Fleet, opposed war with America because, having spent time in the U.S. as a student at Harvard, he appreciated the nation’s enormous industrial potential. Japan’s industry was small by comparison and a long war with the U.S. could only result in the island nation’s destruction. None the less, as a patriot and a military man, Yamamoto felt obliged to produce a strategy that would result in a stunning victory, followed by a negotiated peace agreement with Washington. This scenario of a decisive military engagement leading to a quick peace was the hoped-for conclusion by leaders in Tokyo. It is the strategy that won Japan Formosa in 1895 and defeated the Russians in 1905. 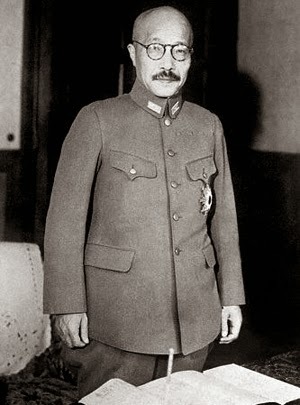 Now Tojo, and his contingent, hoped that destruction of the US fleet at Pearl Harbor, combined with a dominant Japanese military presence across the Pacific, would force Washington into signing a peace treaty, having concluded war with Japan would be futile. Among the glaring fallacies of this line of thinking is the belief that Americans would respond to a humiliating defeat at Pearl Harbor by losing heart and throwing in the towel. Misconceptions were rampant in the views of Americans popular to the Japanese as well as American attitudes toward Japan. It was the dismissive opinion of Japanese military prowess by Americans that helped to undermine our readiness at Pearl Harbor in the first place. The morning of December 7, 1941 and its aftermath six months later at Midway helped to permanently correct the views each nation held toward the other.